This posting focuses on low-power wireless technologies that enable communication between devices that are located within a few feet of each other. This can apply to both voice communications as well as data communication. This whole area is becoming quite complex with a whole raft of standards being worked on – ULB, UWB, Wibree, Zigbee etc. This may seem rather strange bearing in mind the wide-scale use of the key wireless technology in this space – Bluetooth. We are all familiar with Bluetooth as it is now as ubiquitous in use as Wi-Fi but it has had a chequered history by any standard and this has negatively affected its take-up across many market sectors. Bluetooth first saw the light of day as an ‘invention’ by Ericsson in Sweden back in 1994 and was intended as a wireless standard for use as a low-power inter-‘gadget’ communication mechanism (Ericsson actually closed the Bluetooth division in 2004). This initially meant hands-free ear pieces for use with mobile phones. This is actually quite a demanding application as there is no room for drop outs as in an IP network as this would be a cause for severe dissatisfaction from users. Incidentally, I always remember buying my first Sony Ericsson hands-free earpiece that I bought in 2000 as everyone kept giving me weird looks when I wore it in the street – nothing much has changed I think! Standardisation of Bluetooth was taken over by the Bluetooth Special Interest Group (SIG) following its formation in 1998 by Sony Ericsson, IBM, Intel, Toshiba, and Nokia. Like many new technologies, it was launched with great industry fanfare as the up-and-coming new thing. This was pretty much at the same time as WAP (Covered in a previous post: WAP, GPRS, HSDPA on the move!) was being evangelised. Both of these initiatives initially failed to live up to consumer expectations following the extensive press and vendor coverage. A large lack of compatibility between devices meant that Bluetooth devices from different vendors failed to work with each other. This caused quite a few problems both in the hands-free mobile world and the personal computer peripheral world and led to several quick updates. In the PC world, user interfaces were poor forcing ordinary users to become experts in finding their way around arcane set-up menus. There were also a considerable number of issues arising in the area of security. There was much discussion about Bluejacking where an individual could send unsolicited messages to nearby phones that were ‘discoverable’. However, people that turned off discoverability needed an extra step to receive legitimate data transfers thus complicated ‘legitimate’ use. Early versions of the standard were fraught with problems and the 1Mbit/s v1.0 release was rapidly updated to v1.1 which overcame many of the early problems. This was followed up by v1.2 in 2003 which helped reduce co-channel interference from non-Bluetooth wireless technologies such as Wi-Fi. In 2004, V2.0 + Enhanced Data Rate (EDR) was announced that offered higher data rates – up to 3Mbit/s – and reduced power consumption. To bring us up to date, V2.1 + Enhanced Data Rate (EDR) was released in August 2007 which offered a number of enhancements the major of which seems to be an improved and easier-to-use mechanism for pairing devices. The next version of Bluetooth is v3.0 which will be based on ultra-wideband (UWB) wireless technology. This is called high speed Bluetooth while there is another proposed variant, announced in June 2007, called Ultra Low Power Bluetooth (ULB). During this spread of updates, most of the early days problems that plagued Bluetooth have been addressed but it cannot be assumed that Bluetooth’s market share is unassailable as there are a number of alternatives on the table as it is viewed that Bluetooth does not meet all the market’s needs – especially the automotive market. Before talking about ULB, we need to look at one of its antecedents, Wibree. This must be one of the shortest lived ‘standards’ of all time! Wibree was announced in October 2006 by Nokia though they did indicate that they would be willing to merge its activities with other standards activities if that made sense. Nokia felt that there was no agreed open standard for ultra-low power communications so it decided that it was going to develop one. One of the features that consumes power in Bluetooth is its frequency hopping capability so Wibree would not use it. Wibree is also more tuned to data applications as it used variable packet lengths unlike the fixed packet length of Bluetooth. This looks similar to the major argument that took place when ATM (The demise of ATM) was first mooted. The voice community wanted short packets while the data community wanted long or variable packets – the industry ended up with a compromise that suited neither application. 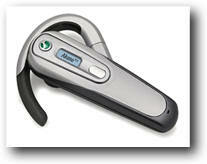 “Wibree and Bluetooth technology are complementary technologies. Bluetooth technology is well-suited for streaming and data-intensive applications such as file transfer and Wibree is designed for applications where ultra low power consumption, small size and low cost are the critical requirements … such as watches and sports sensors”. On June 12th 2007 Wibree merged with the Bluetooth SIG and the webcast of the event can be seen here. This will result in Wibree becoming part of the Bluetooth specification as an ultra low-power extension of Bluetooth known as ULB. ULB is intended to complement the existing Bluetooth standard by incorporating Wibree’s original target of reducing the power consumption of devices using it – it aims to consume only a fraction of the power current Bluetooth devices consume. ULB will be designed to operate in a standalone mode or in a dual-mode as a bolt-on to Bluetooth. ULB will reuse existing Bluetooth antennas and needs just a small bit of addition logic when operating in dual-mode with standard Bluetooth so it should not add too much to costs. When announced, the Bluetooth SIG said that NLB was aimed at wireless enabling small personal devices such as sports sensors (heart rate monitors), healthcare monitors (blood pressure monitors), watches (remote control of phones or MP3 players) and automotive devices (tyre pressure monitors). The Zigbee standard is managed by the Zigbee Alliance and was developed by the IEEE as standard 802.15.4 It was ratified in 2004. “ZigBee was created to address the market need for a cost-effective, standards-based wireless networking solution that supports low data-rates, low-power consumption, security, and reliability. This puts the Bluetooth ULB standard in competition with Zigbee as it aims to be cheaper and simpler to implement than Bluetooth itself. In a similar way to the ULB team announcements, Zigbee uses about 10% of the software and power required to run a Bluetooth node.. The alliance says this makes Zigbee ideal for both home automation and industrial applications. It’s interesting to see that one of Zigbee’s standard competitors has posted an article entitled New Tests Cast Doubts on ZigBee . All’s fair in love and war I guess! So there we have it. It looks like Bluetooth ULB is being defined to compete with Zigbee. There doesn’t seem to be too much information to be found on the proposed Bluetooth version 3.0. However on the WiMedia Alliance site I found the statement by Michael Foley, Executive Director, Bluetooth SIG. 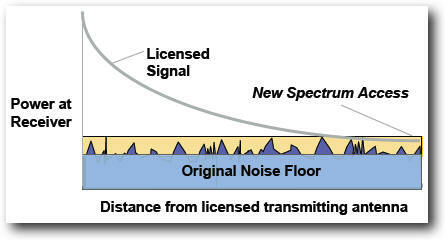 WiMedia is the organisation that lies behind Ultra Wide-band (UWB) wireless standards. According to a May 2007 presentation entitled High-Speed Bluetooth on the Wimedia site, the Bluetooth SIG will reference the WiMedia Alliance [UWB] specification and the solution will be branded with Bluetooth trademarks. The solution will be backwards compatible with the current 2.0 Bluetooth standard. The specification will be completed in Q4 2007 and first silicon prototyping complete in Q3 2008. I have to say that this approach does not look to be either elegant or low cost to me. However, time will tell. That completes the Bluetooth camp of wireless technologies. Let’s look at some others. As the Bluetooth SIG has adopted UWB as the base of Bluetooth 3.0 what actually is UWB. A good UWB overview presentation can be found here. Essentially, UWB is a wireless protocol that can deliver a high bandwidth over short distances. In theory, there should never be an instance where UWB interferes with an existing licensed service. In some ways, this has similarities to BPL (The curse of BPL), though it should not be so profound in its effects. To avoid interference it uses Detect and Avoid (DAA) technology which I guess is self defining in its description without going into too much detail here. One company that is making UWB chips is Artimi based in Cambridge, UK. Wireless USB will deliver around the same bandwidth as Bluetooth 3.0 – 480Mbit/s at 3 metres because it is based on the same technology and will be built into Microsoft Vista.™. One is bound to ask, what the difference is between Wireless USB and Bluetooth as they are going to be based on the same standard. Well one answer is that Wireless USB products are being shipped today as seen in the Belkin Wireless USB Adapter as shown on the right. A real benefit of both standards adopting UWB will be that both standards will use the same underlying radio. Manufacturers can choose whatever which ever standard they want and there is no need to change hardware designs. This can only help both standard’s adoption. However, because of the wide spectrum required to run UWB – multiple GHz – different spectrum ranges in each region are being allocated. This is a very big problem as it means that radios in each country or region will need to be different to accommodate the disparate regulatory requirements. In the same way that Bluetooth ULB will compete with Zigbee (an available technology), Bluetooth 3.0 will compete with Wireless USB (also an available technology). So there you have it – the relationships between Bluetooth 2.0, Bluetooth 3.0, Wibree, Bluetooth ULB, Zigbee, High speed Bluetooth, UWB and Wireless USB. So things are clear now right? So what about Wi-Fi’s big brother WIMAX? And don’t let us forget about HSPDA (WAP, GPRS, HSDPA on the move! ), the 3G answer to broadband services? At least these can be put in a category of wide area wireless services to separate them from near distance wireless technologies. I have to say I find all these standards very confusing and makes any decision that relies on a bet about which technology will win out in the long run exceedingly risky. At least Bluetooth 3.0 and Wireless USB use the same radio! At an industry conference I attended this morning, a speaker talked about an “arms war” between telcos and technology vendors. If you add standards bodies to this mix, I really do wonder where we consumers are placed in their priorities. Can you see PC manufacturers building all these standards onto their machines? I could also write about WIMAX, Near Field Communications, Z-wave and RF-ID but I think that is better left for another day! This entry was posted on Tuesday, October 2nd, 2007 at 18:38 pm and is filed under All, Internet, Mobile, Networks, Wireless. You can follow any responses to this entry through the RSS 2.0 feed. You can leave a response, or trackback from your own site. Chris – your link for the Belkin UWB toy points to your local drive. Please update the link. Some readers might get the impression that WiMedia == UWB. It is but one flavor of UWB. By regulatory definition UWB means occupying at lest 500MHz of bandwidth. There is a UWB standard for low power, low data rate that is part of IEEE 802.15.4 (the base standard for ZigBee). The 802.15.4a signal is very different than WiMedia but still UWB. There is room in the application world for different standards that meet different needs. WiMax, WiFi, WiMedia, 802.15.4 are different tools for different applications. Within certain spaces there is competition. The WiMax/4G space is full of competing standards. The hi rate WPAN space has converged for now on WiMedia with many vendors offering interoperable chips: this will change as the quest for higher bit rates leads to mutli-Gbps systems (look into the 802.15.3c Task Group working on a standard for multi-Gbps PHY in the 60Ghz band). This won’t supplant WiFi or WiMax, but may give WiMedia competition. The key word for the next decade is convergence. We already see mobile platforms with many radios (GSM/CDMA, WiFi, Bluetooth, WiMedia/WUSB, GPS). We’re seeing demand for increasing integration on the platform backbone. Adding another radio or two to the mix is old hat by now ;-). Hope you’well. Did you ever write a piece on NFC (alluded to in this article)?